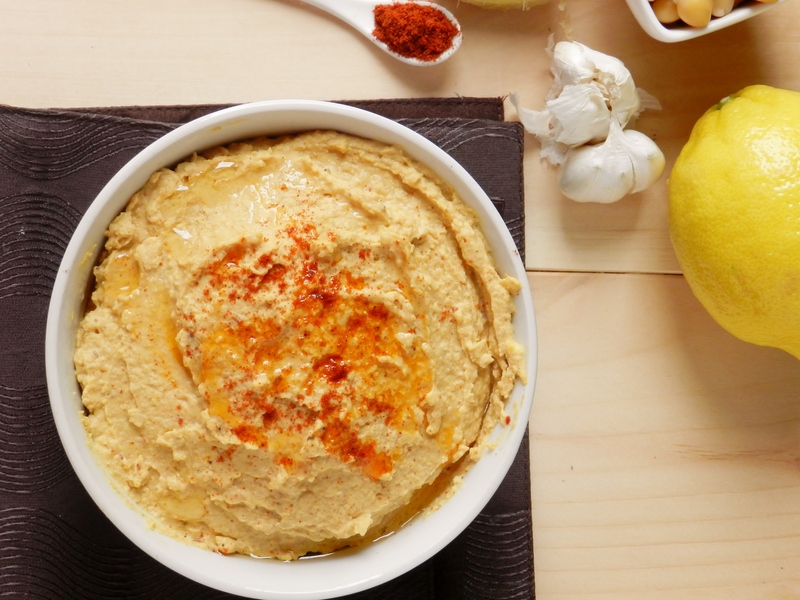 It has been 33 days since we last posted a hummus recipe. 33 days! We think that’s a record for us! Some of you were probably starting to wonder if we were okay! 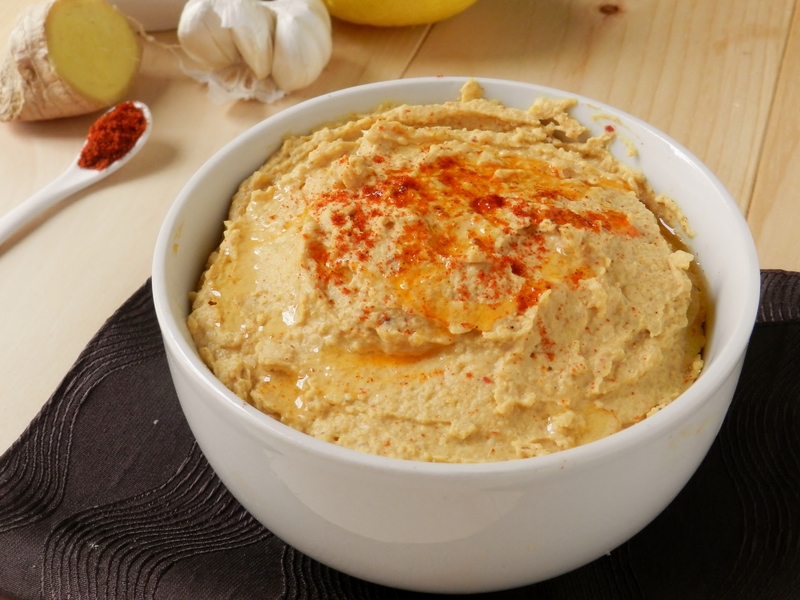 But in case you were all starting to feel hummus-deprived, we are back after our hummus hiatus with another delicious rendition of our favourite dip the best food ever. 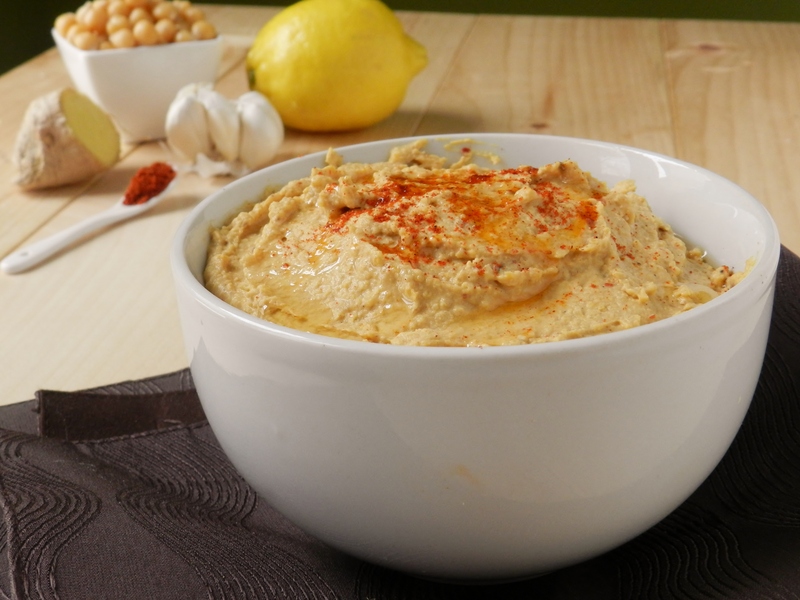 This time around we looked Eastward for some inspiration and made a Curried Hummus! We suppose that makes it more middle-eastward, but we won’t get too picky about details. But seriously, our hats go off to the people of the Middle East! Boy do they know how to cook! We don’t even know if they have a word for “bland” in their language, because they probably never use it- everything they make has a positively magical blend of spices that makes every single one of their dishes burst with flavour! 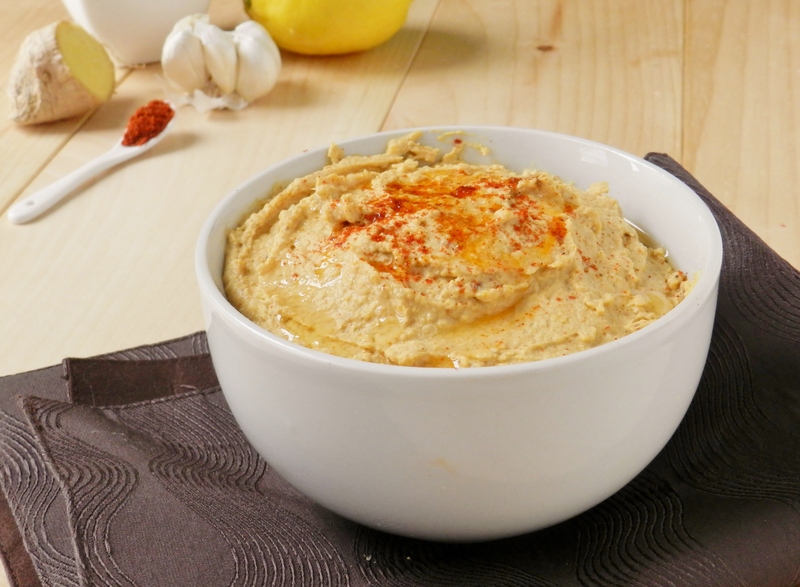 And that is precisely what we were going for with this hummus- bold and spicy with enough flavour to send your taste buds into over-drive. Do you like Middle-Eastern cuisine? Posted in Uncategorized and tagged appetizer, chickpeas, clove garlic, curried hummus, curry, curry paste, curry powder, dinner, dip, easy, food, garam masala, garlic, ginger, healthy, hummus, lemon, lime, low fat, low sodium, middle eastern cuisine, Middle-Eastern, olive oil, paprika, quick, red curry paste, side, tahini, tsp cinnamon, tsp garam masala, vegan, vegetarian. Bookmark the permalink. Remember way-back-when, when we vowed to give waffles their due respect? And have you seen a single waffle recipe? No, no you have not. But we’re trying to change, really, we are! 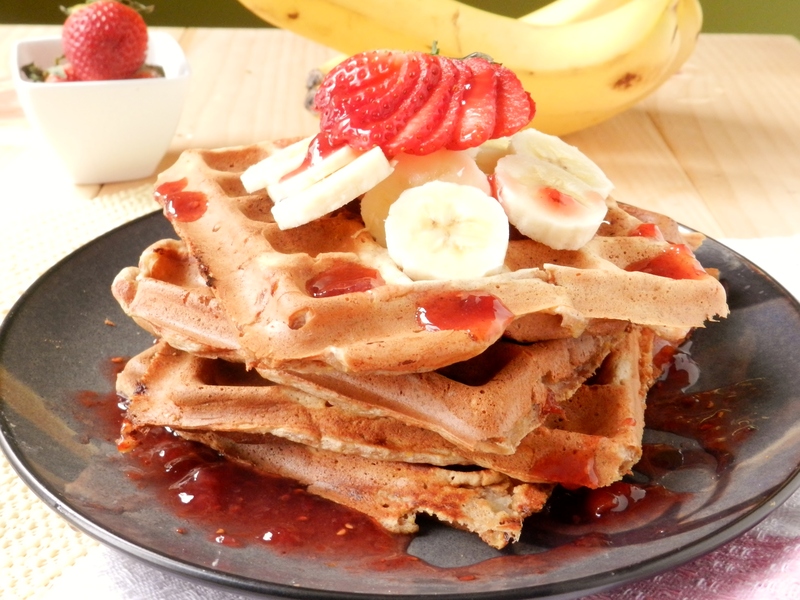 Starting with these Banana Waffles! Make that ultra-fluffy-super-crispy Banana cornmeal waffles! 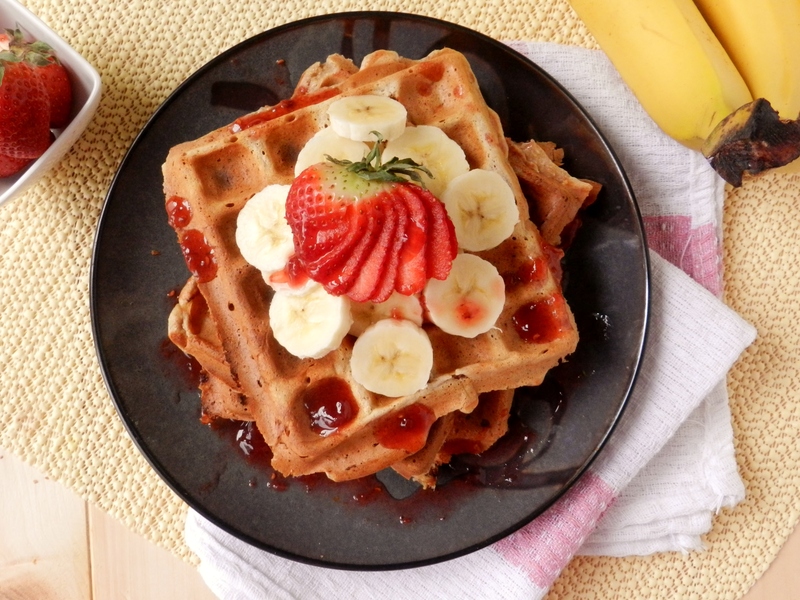 Seriously, with these on file, waffles have officially made their way on to our regular breakfast rotation! 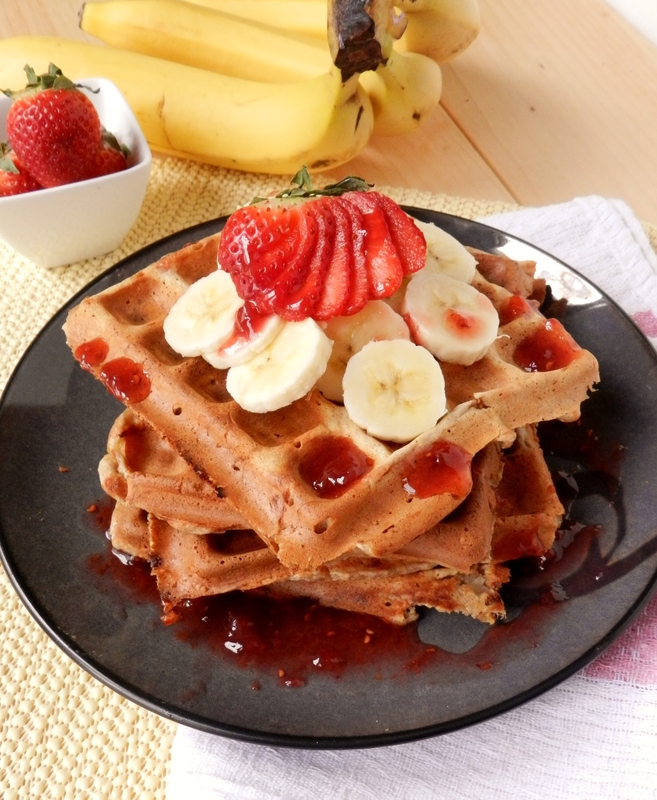 Think of these as the martyrs of breakfast waffles, paving the way for future waffle recipes! Do you like waffles? What is your favourite breakfast lately? 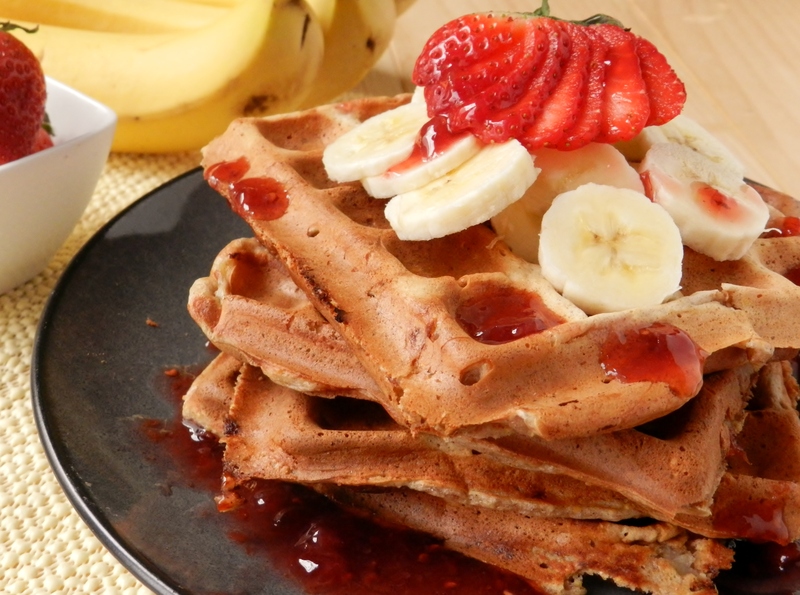 Posted in Uncategorized and tagged banana, banana waffles, breakfast, cinnamon, cornmeal, food, healthy, jam, martyr, pancake recipes, pancakes, recipe, strawberry, strawberry jam, toaster waffles, tsp cinnamon, waffle, waffle iron, waffle recipe, waffle recipes, whole wheat, whole wheat flour. Bookmark the permalink.